HILL TRIBE SILVER LITTLE LEAF CHARM. Each piece is approximately 7.5 x 19 mm in size. The price and weight given is per piece. The minimum order is 10 pieces. This fine silver pendant is made of 99% silver, which has been crafted by the hands of artisans in a hill tribe community known as the Karen Hill Tribe group; residing in northern Thailand towards the Burmese border. Handcrafting hill tribe silver has been a long-established tradition in which the expertise has been passed down amongst families of many generations. 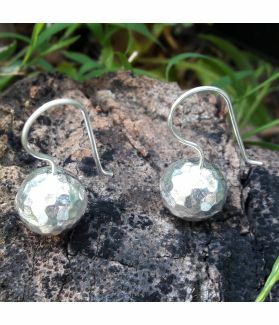 The high silver content of Karen silver makes it very pure, with a softer texture than sterling silver, but of a higher quality and slower tarnishing. 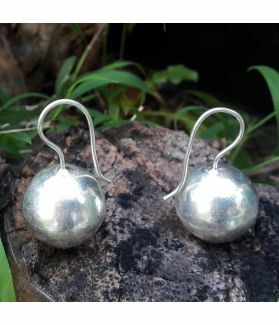 Made by bare hands, this hill tribe-designed fine silver bead will be artistically unique compared to its other identical pieces, with slight variations in sizes, and tribal designs that culturally inspire people and emotionally connect them with the Karen hill tribes of Thailand. 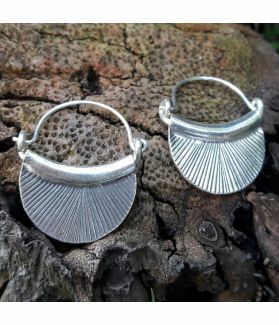 This fine silver pendant can be used as an element of your hill tribe silver necklace or bracelet.